Online sportsbooks are primed for tonight’s Pittsburgh Penguins vs. Philadelphia Flyers, colloquially referred to as the battle of Pennsylvania. Both the Flyers and Penguins are vying to stay within the top-3 of the Metropolitan, so there’s more on the line than just bragging rights this evening. Let’s take a look at what tonight’s parlay payout odds are predicting. 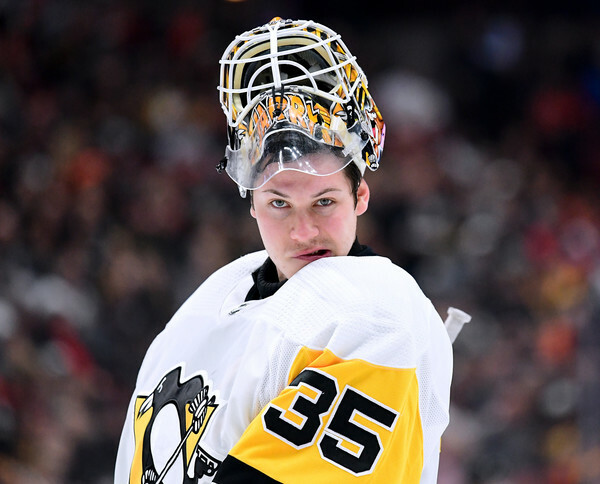 Behind Tristan Jarry and Evgeni Malkin’s efforts, both of whom have earned top performer in the Penguins’ last two games, Pittsburgh enters tonight’s matchup riding a 2-game winning streak. This streak has allowed the Guins to climb to the No. 2 spot in the division. As matter of fact, Pittsburgh is now in contention for the No. 1 spot in the division since they’re only 1-point behind the Caps. Since Washington will stay off the ice this evening, the Penguins can claim the division with a win over the Flyers. However, it’s clear the evening’s online NHL betting odds are predicting a heated matchup. Let’s take a look at both teams’ stats to determine who has the upper hand in this Pittsburgh Penguins vs. Philadelphia Flyers contest. As most sportsbook betting players would assume, the Guins come in with the better offense. Currently the Penguins rank 5th in scoring while the Flyers rank 13th. On the other hand, Philly comes in with the better defense. Specifically, the Flyers’ 12th ranked unit is better than Pittsburgh’s 20th ranked defense. Considering they come in with the momentum, bettors might be better off siding with Pittsburgh this evening. Despite Petr Mrazek’s best efforts, the Flyers enter this evening’s matchup riding a 2-game losing streak. Notwithstanding that losing streak, tonight’s online NHL betting lines are still giving Philly a fighting chance. All in all, the Flyers slide into this Wednesday night pairing with a 34-21-11 record. That ranks them 3rd in the Metropolitan, just 1-point away from ting with the Penguins. With that in mind, it’s clear that the Flyers can usurp Pittsburgh in the divisional ranking with a win. Luckily for the Flyers, they’ll be getting the home ice advantage. Despite the fact that Philly gets home ice, it’s hard to imagine them beating the reigning champs. To get the job done, Claude Giroux, Sean Couturier and Jakub Voracek will all need to have the game of their lives. The odds are predicting a tough matchup, which certainly favors bettors looking to back Pittsburgh this evening. The low-bar odds on the reigning champions make them one of tonight’s best betting options. There’s no guarantee Pittsburgh will come out on top, but it certainly looks that way. Not to mention the fact that the Penguins beat the Flyers 5-4 earlier this season. Sign up now to take advantage of these enticing hockey odds! Score Prediction: 4-3 Pittsburgh. The Guins get it done on the road but fail to cover the spread.